I think if you asked my girls what their favourite month is, they would say August. It’s an exciting month in our house and very full on! 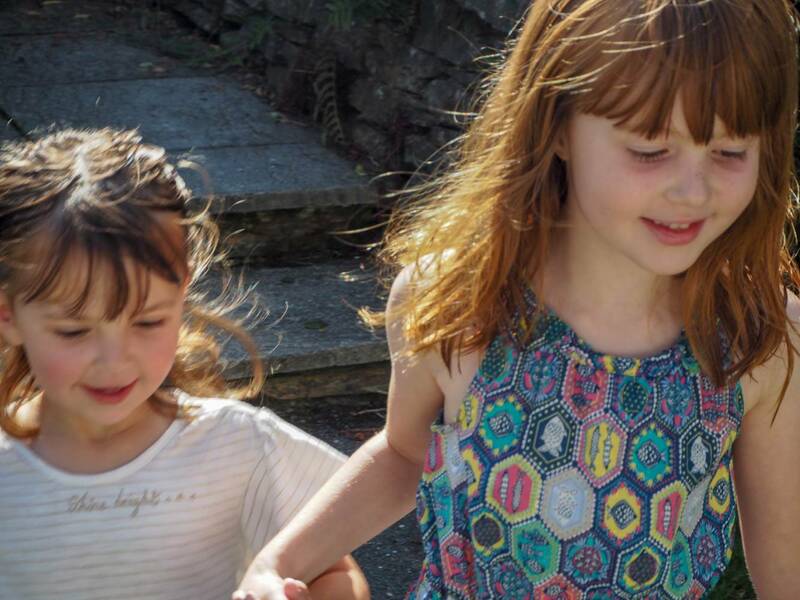 The girls both have their birthdays in August, they get to spend every single day of August together because there is no school and we go on our family holiday. Yes it’s busy, but it’s what we’ve come to love and as long as I plan ahead it’s great fun. The last few weeks saw the end of the school year and the start of our summer of fun. It’s Holly’s last summer before she starts school and I’m soaking her up. Making the days longer and praying that time slows down. This time last year was the end of Year R for Alice and she was exhausted and I remember the start of the summer holidays being really hard work. Thankfully this year has been very different and while she was tired, she can cope with it better. She has a lie in when she needs it and she is a different person. Another sign she is growing up. 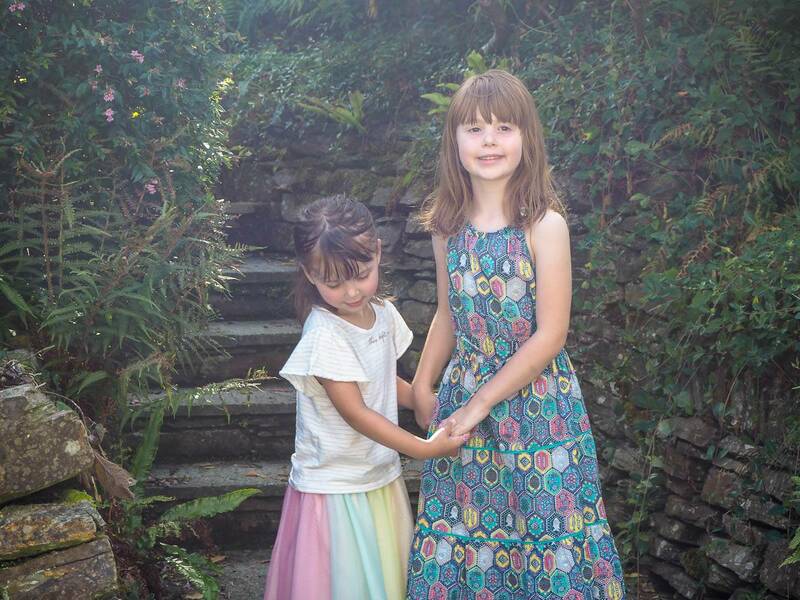 We’re currently on holiday in Cornwall and on Monday we had Alice’s birthday. I can’t believe she is now 6 years old! We had a brilliant day, that started with pancakes for breakfast. We headed to St Michaels Mount and walked across the beach to get to it, which was amazing. We even had to take our shoes off to walk in the water when we got to the middle, as the tide hadn’t quite gone out. But that just added to the fun and excitement. It’s a beautiful castle and we all had a brilliant time. We then came home, as Alice really wanted to go in the hot tub on her birthday. I’ve never seen such excited girls and more water came out than it should! We then got dressed up to head out to Padstow for dinner. 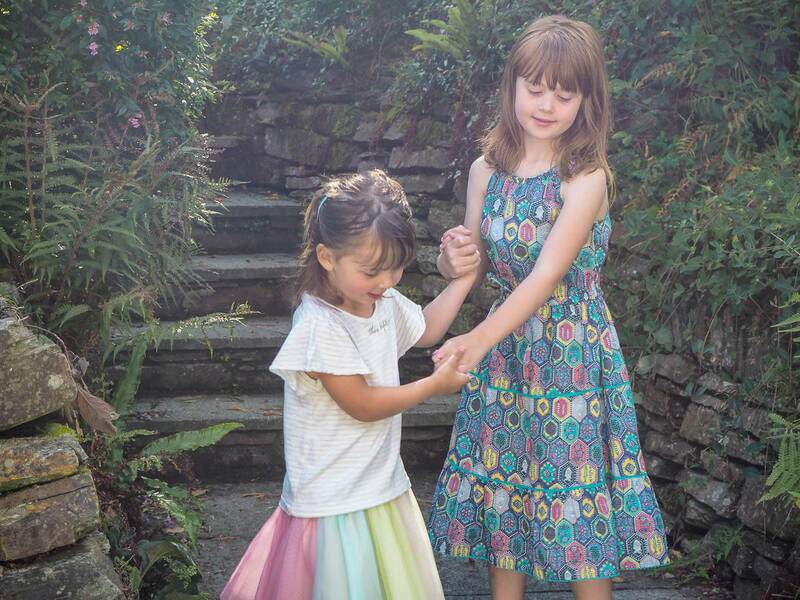 Which is when I snapped these photos of the girls in the garden before we left. 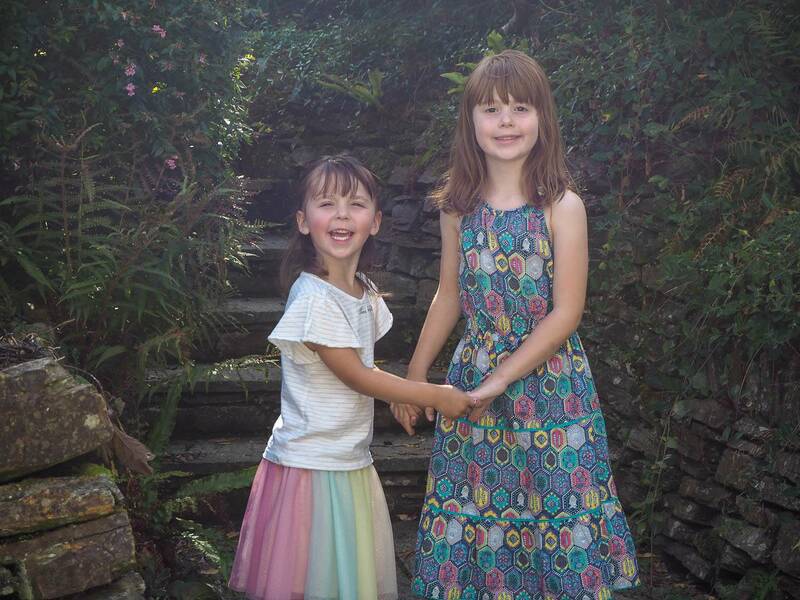 Alice is looking even more grown up than her 6 years and Holly is catching her up and showing more signs that she is ready for school. I think these photos show just how much these two love each other. 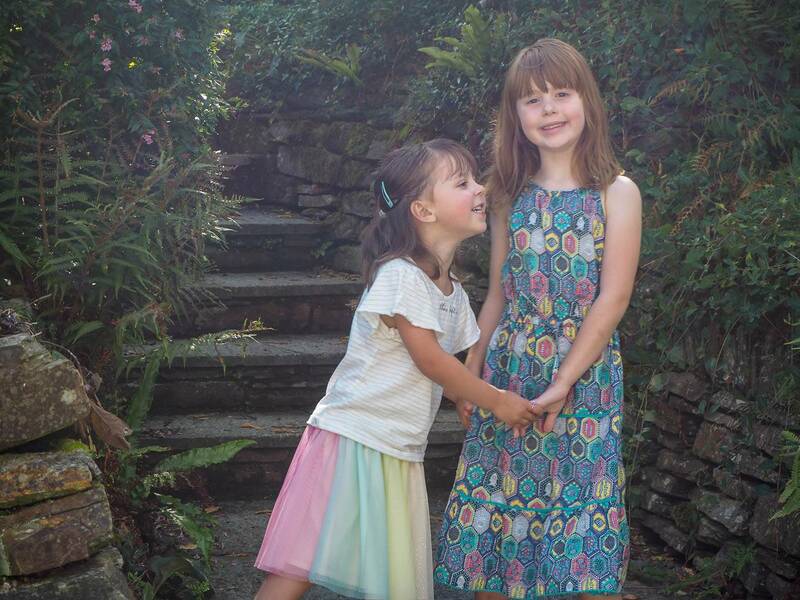 They weren’t posed for photos, just two sisters in the garden on holiday and me snapping away. They couldn’t love each other more if they tried and they are loving spending all day, every day together. I’m not sure how they are going to cope being apart in September. 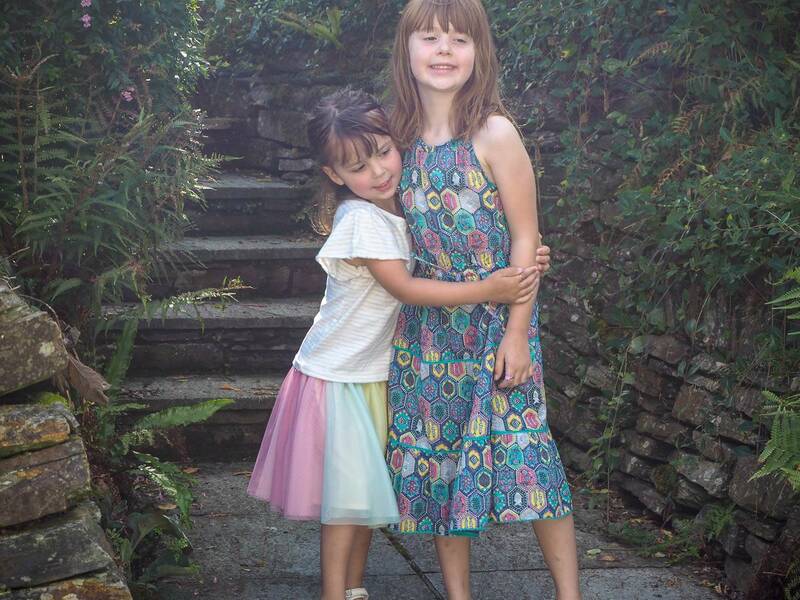 But at least this year, Holly will be at school with Alice and not at home missing her more. Sadly, Alice took a turn at the end of her birthday and we ended up at hospital. But the medicine is working and whilst we’re taking a slower pace for a couple of day. We’re making the most of this time together in Cornwall and hoping Alice will bounce back towards the end of the week. With getting ready for our holiday and Alice’s birthday I had completely run out of time to take my photos of the girls and I had just decided I wouldn’t do a post this month. Then with Alice being poorly, we stayed home and Andy took Holly out for the day. Alice was asleep on the sofa and I was looking back at these photos. I just had to share them on my blog. Because that is what my blog is all about, capturing the memories of our family and these photos say so much. Also looking back at them, I can see the signs in Alice’s face that she isn’t 100% right, her sparkle isn’t there. Previous Post: « How Are You Six! August is a lovely month. The kids love it because of the summer holiday. August is a beautiful month, an especially great month to house two birthdays too! I am loving August and having all 3 children home together. I hope the medication is working and Alice has recovered.